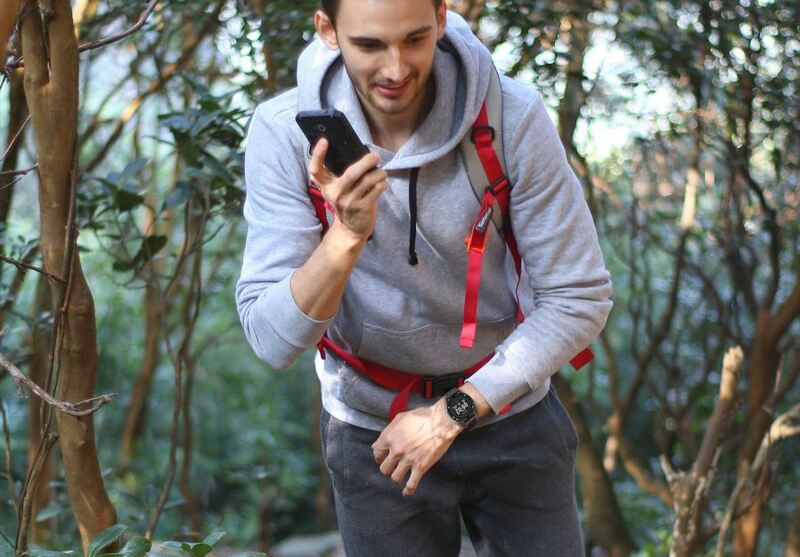 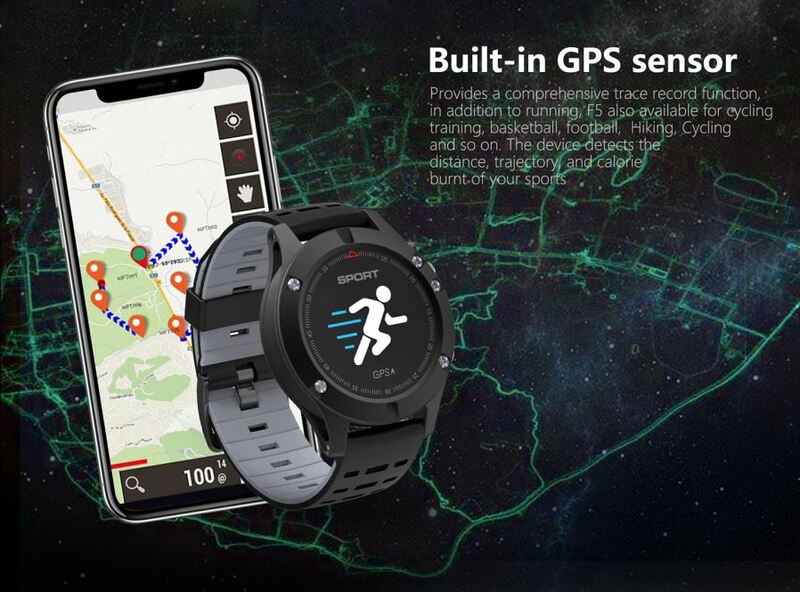 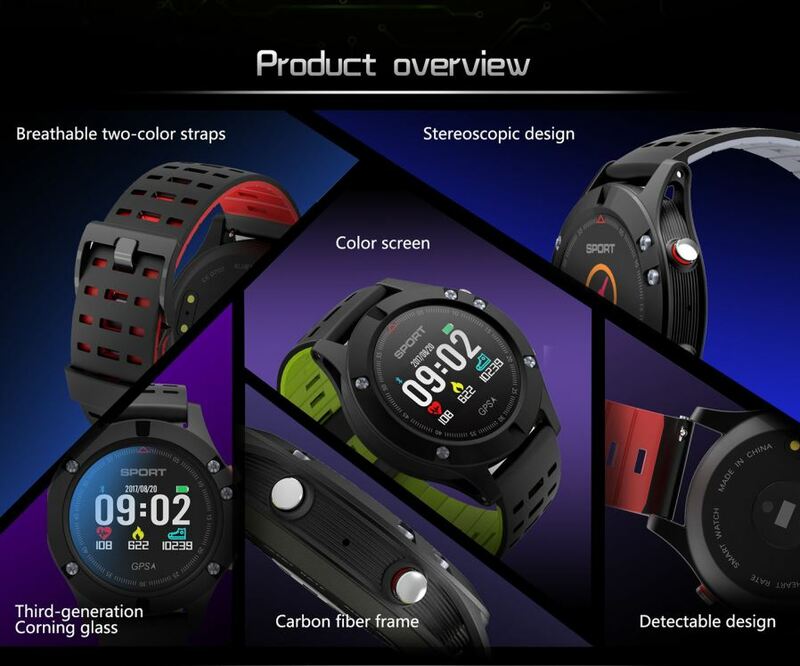 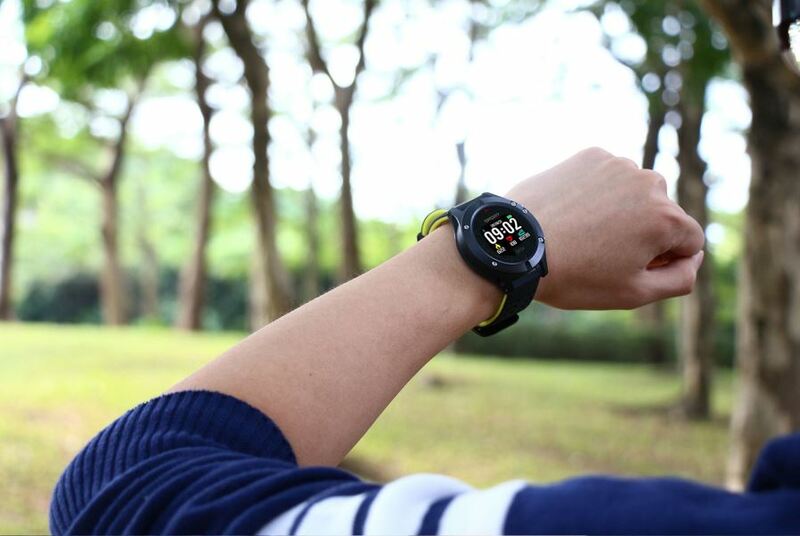 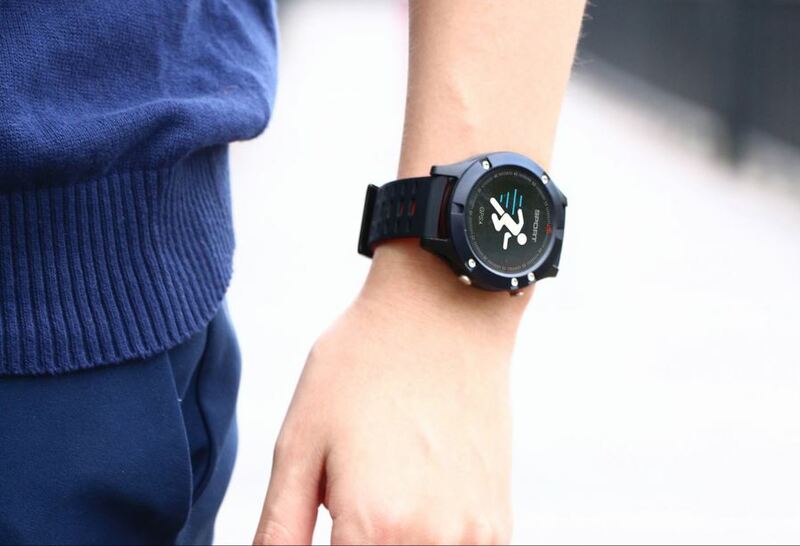 Built-in GPS SensorProvides a comprehensive trace record function, in addition to running, F5 also available for cycling training, basketball, football, hiking, cycling and so on. 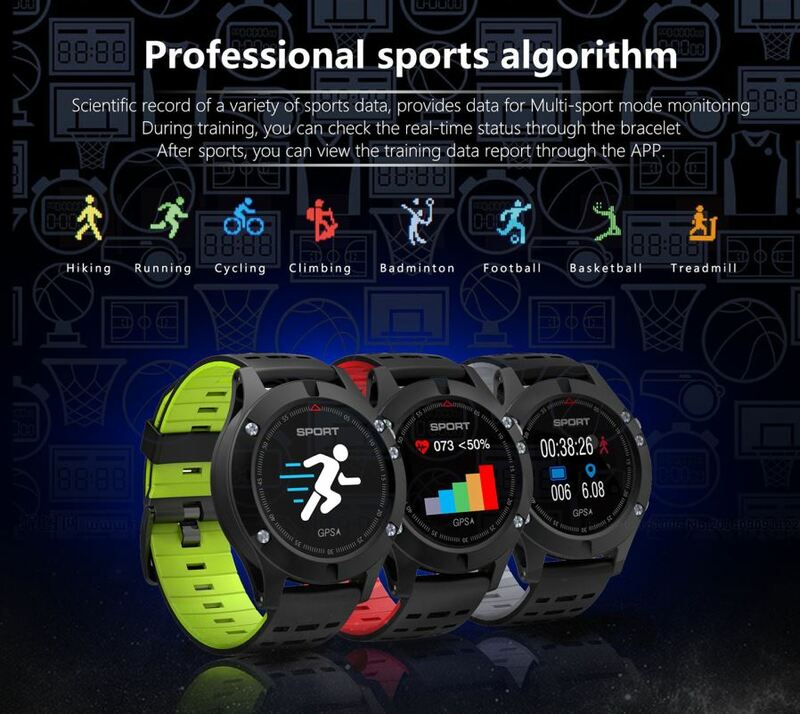 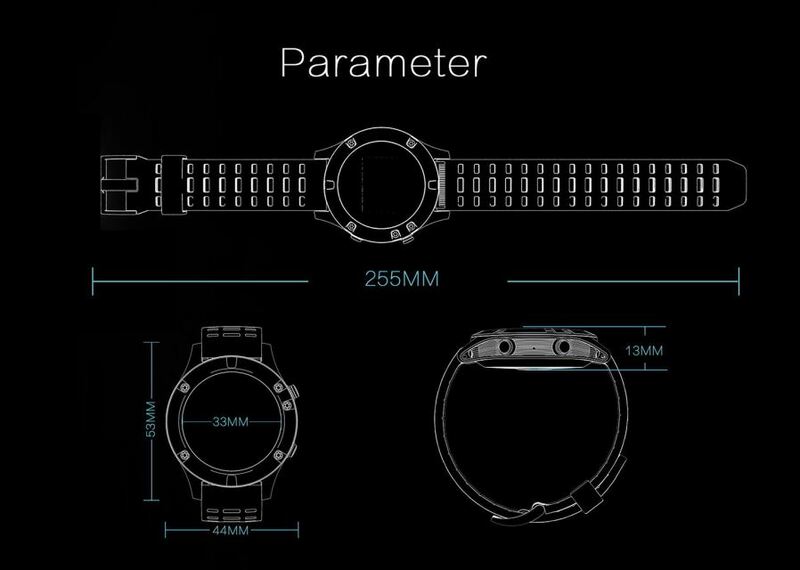 The device detects the distance, trajectory and calorie burnt your sports. 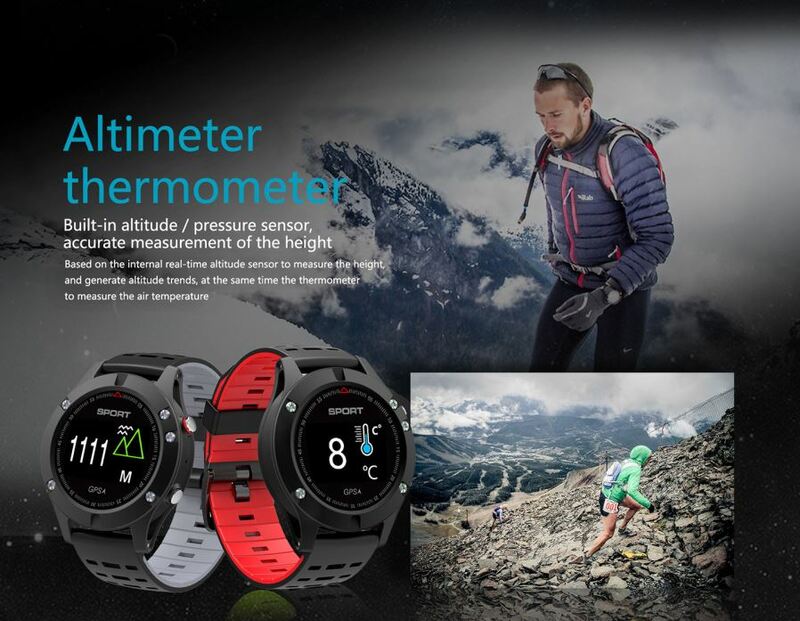 Fully use the internal pressure sensor to measure the atmospheric pressure and generate air pressure trend diagram. 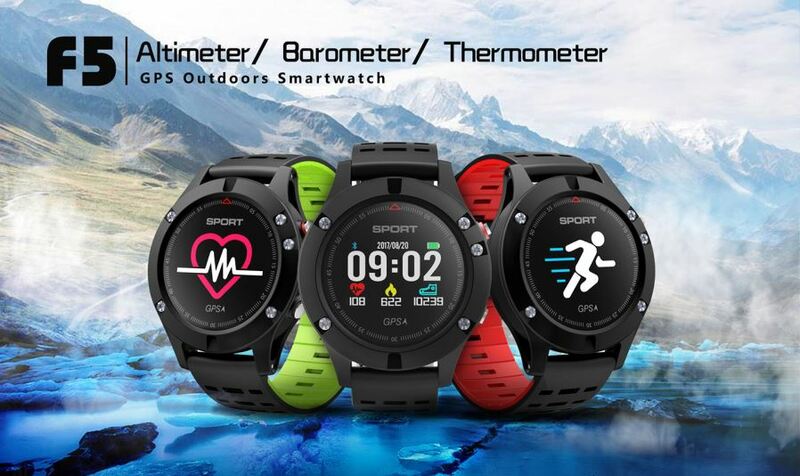 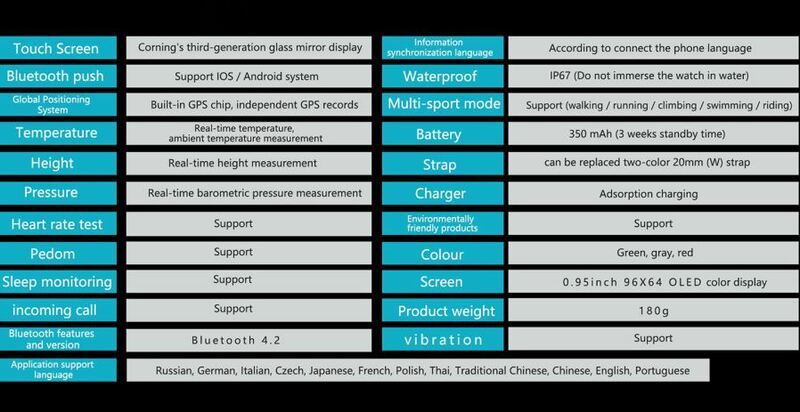 Open the barometer function, according to the measurement results you can clear their own capacity, make a better arrangement for your travel. 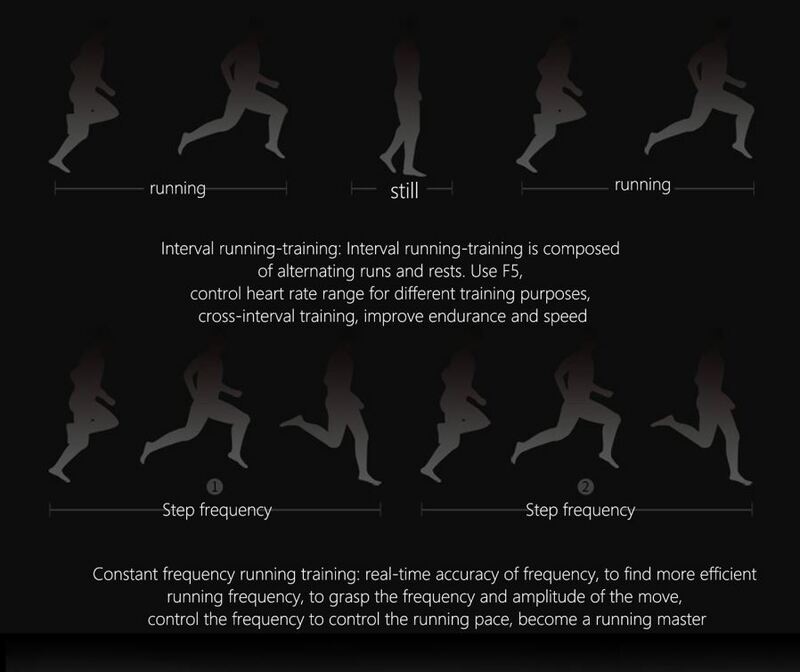 Start a scientific running Interval running- training is composed of alternating runs and rests. 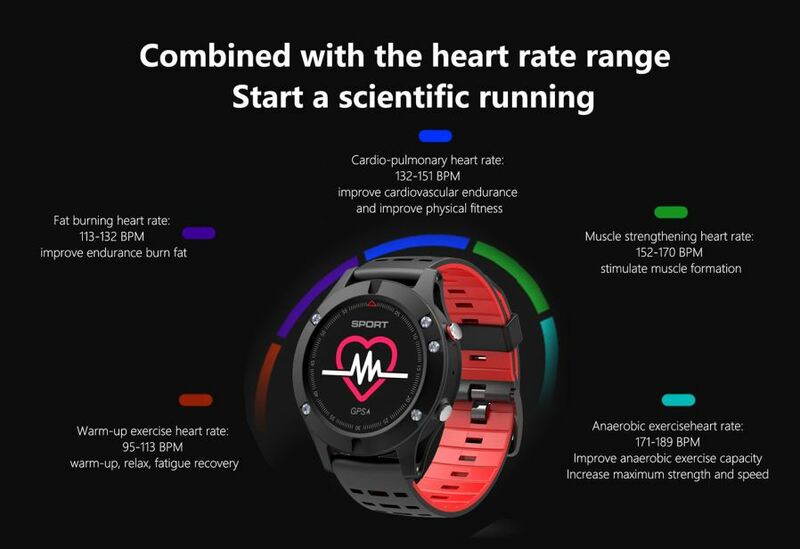 Use F5, control heart rate range for different training purposes, cross-interval training, improve endurance and speed. 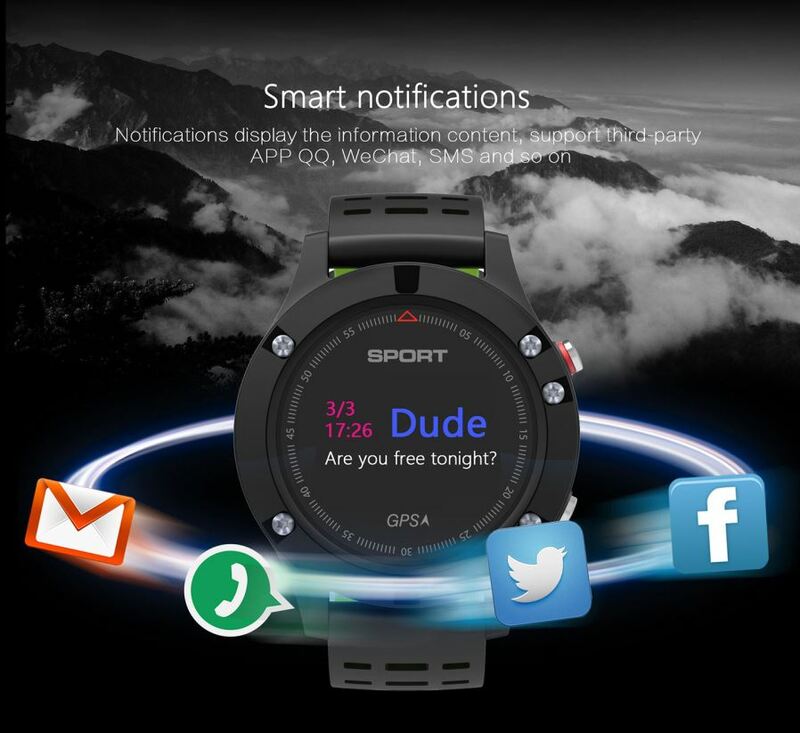 Smart notificationsNotifications display the information content, support third-party APP QQ, WeChat, SMS and so on. 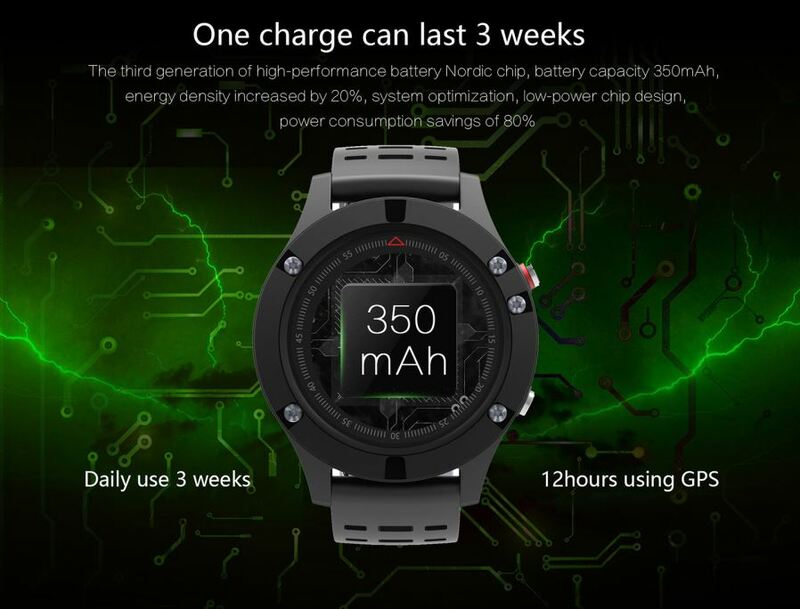 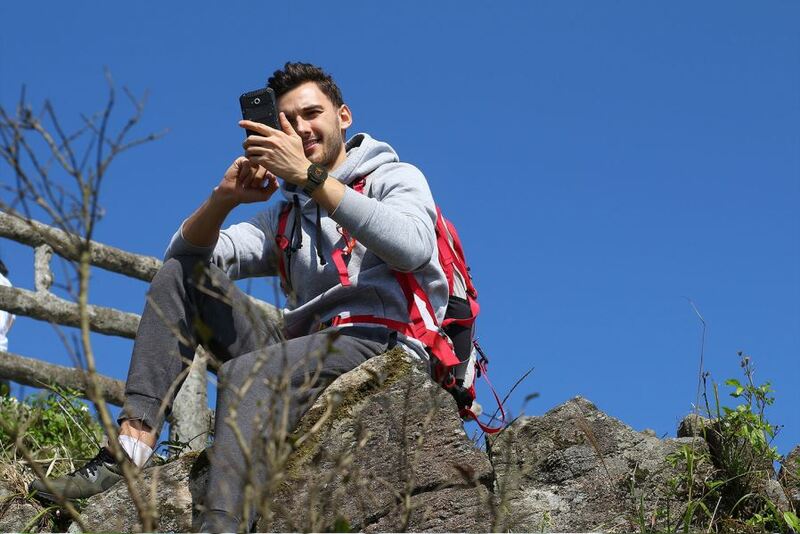 One charge can last 3 weeksThe third generation of high-performance battery Nordic chip, battery capacity 350 mAh, energy density increased by 20%, system optimization, low-power chip design, power consumption savings of 80%.